Ahhh...got another one here for you guys, and actually I am surprised it's not already swimming around in the Clubhouse Hatchery (or Stanley's Pond LOL)! Almost a no-brainer here! This guy gets a bit bigger than its other popular cousin, the Black Crappie. 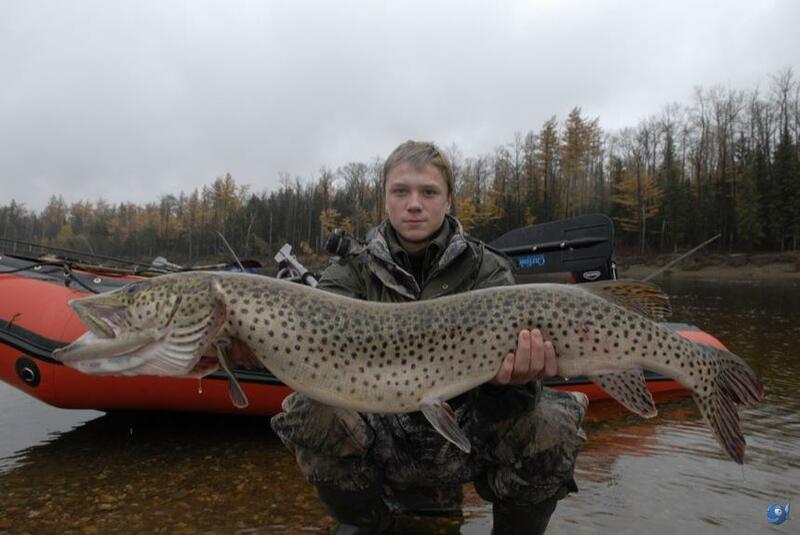 It is also found in habiting the same regions as the Black Crappie. It can be a little tough to identify, but I have also added a picture to show the differences between the two. 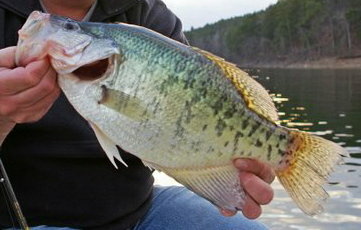 The White Crappie has a more striped appearance rather than spotted like the Black Crappie. 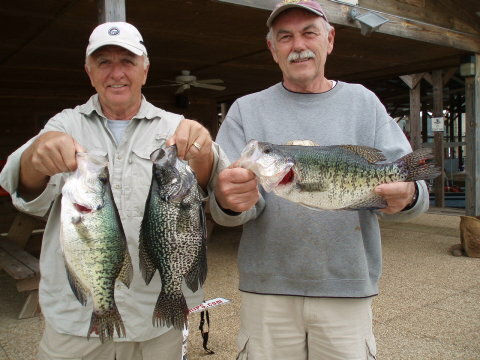 The guy on the right is holding a Black Crappie in his left hand and a White Crappie in his right hand. See the difference? Now, off to DL some of Martin's new outings and get to fishing! Especially looking forward to the Borneo one. 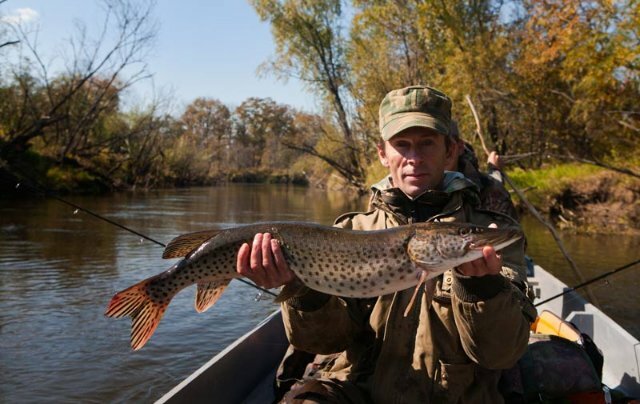 Northern River Shark (Glyphis Shark), here I come!! Hi Chuck I have actually started the white crappie be for I left for Montana. The fish is almost done just need some minor correcting. Hopefully It will be better then the first fish I made. There. Added more pics. Seems Google Images doesn't work right on iPhones anymore darn it. 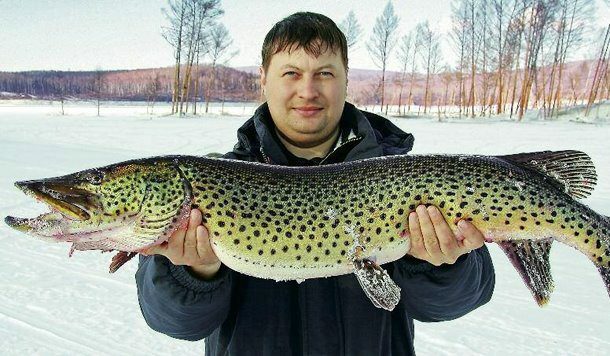 Thanks to my recent post below about "Big Fishes of the World", I found one very interesting fish native to Asia and is an exotic here in the US! 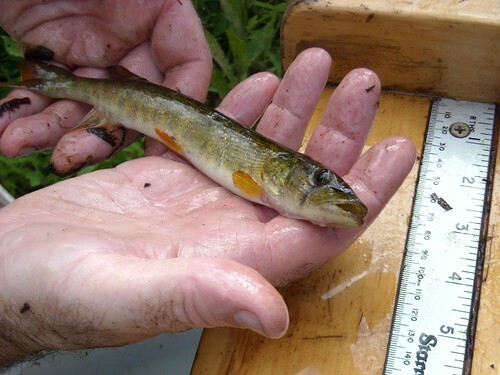 The Redeye bass (Micropterus coosae) is a species of freshwater fish in the sunfish family (Centrarchidae) native to the Coosa River system of Georgia, Alabama. The waters it is normally found in are cool streams and rivers in the foothills of mountains. The upper jaw (maxilla) extends to the back of the eye, which is usually red. There are dark bars on the side, which fade to lighter color in the center. 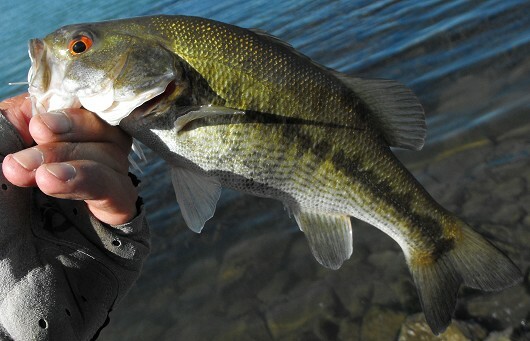 Growing to a maximum reported overall length of 47 cm (19 in), the redeye bass is one of the smaller black basses. The probable world record for Redeye bass is 5 lb 2.5 oz (2.34 kg) from Lake Jocassee in South Carolina. 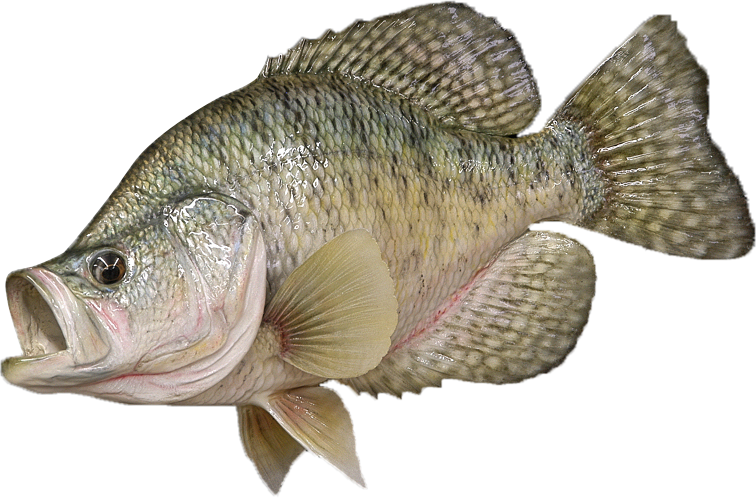 Many Redeye bass world record listings, especially those over 5 lb (2.3 kg) are actually records for the shoal bass (Micropterus cataractae) which was commonly called Redeye bass. Its main food tends to be insects. 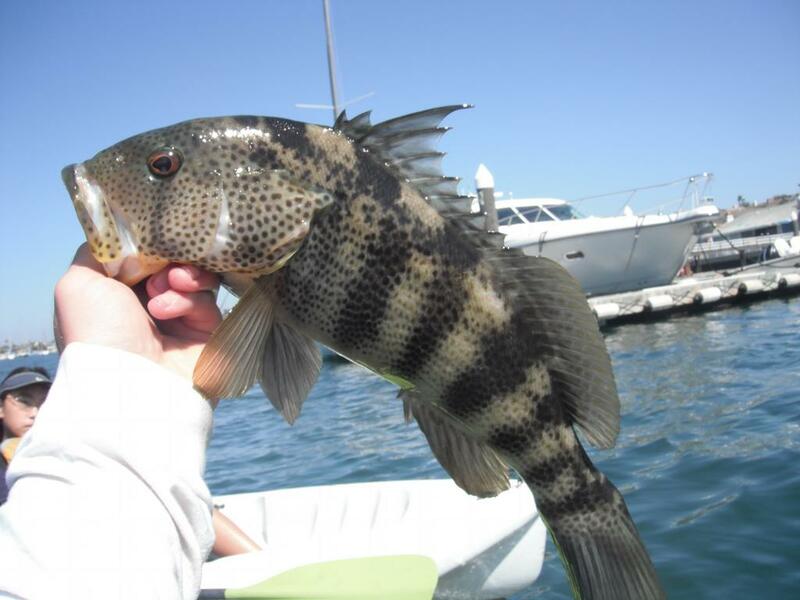 The rock bass (Ambloplites rupestris), a distinct species of Centrarchid, is sometimes called the redeye or redeye bass. These are Rock Bass, NOT Redeye Bass. 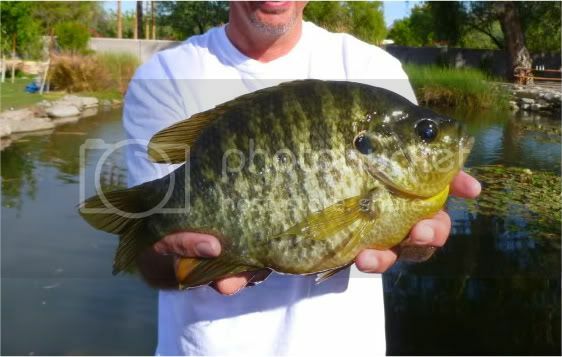 If it looks more like a panfish than a bass, its a Rock Bass. Good little pointer. Once again, if whomever decides to take this one on, if you need or want help with the caught pics, do not hesitate to ask me, for I know this one can easily be confused. 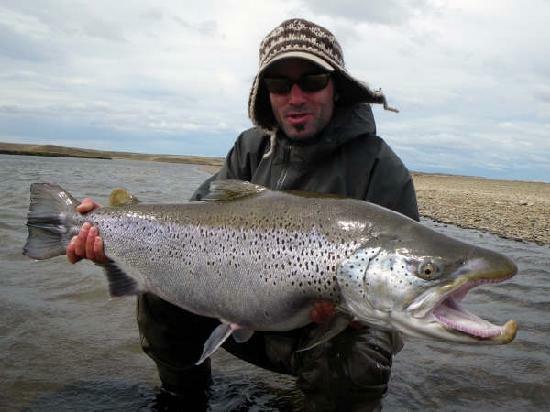 This form of Brown Trout is a brown trout in with all the characteristics and mannerisms of its stream-running brethren, although the Sea-Run (or Great Lakes as it is know here) Brown Trout has a more robust body and can get MUCH bigger. We're talking 30-40lbs. It looks a little different from its stream-run counterpart, with silvery sides and belly, but retaining the brown/greenish backside. It is a hard, hard fighter, going between tank-like runs and when near the water surface, using high flying aerial jumps and violent head shakes. 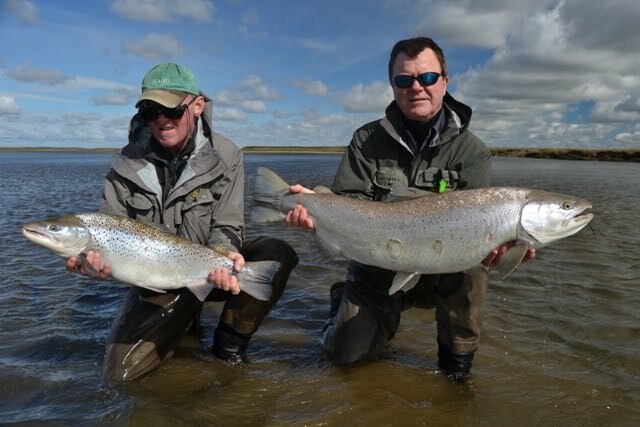 I personally have caught these guys while fishing for staging salmon off the piers of Lake Ontario, Lake Erie, and even the Niagara River. By the way Stanley if you decide to do this one I have some personal caught photo's with my self and my son. Just let me know. First, my apologies for not being around too much lately. Dunlop has increased our workload, doing a lot of OT, the weather has been nice and trying to take advantage of the springtime fishing! I agree with Roger here that a Jumping Wiper would be great. Hybrids are such hard fighters! I actually come to you with two that I think are pretty cool. Neither are real large and would just add a new dimension to different outings. 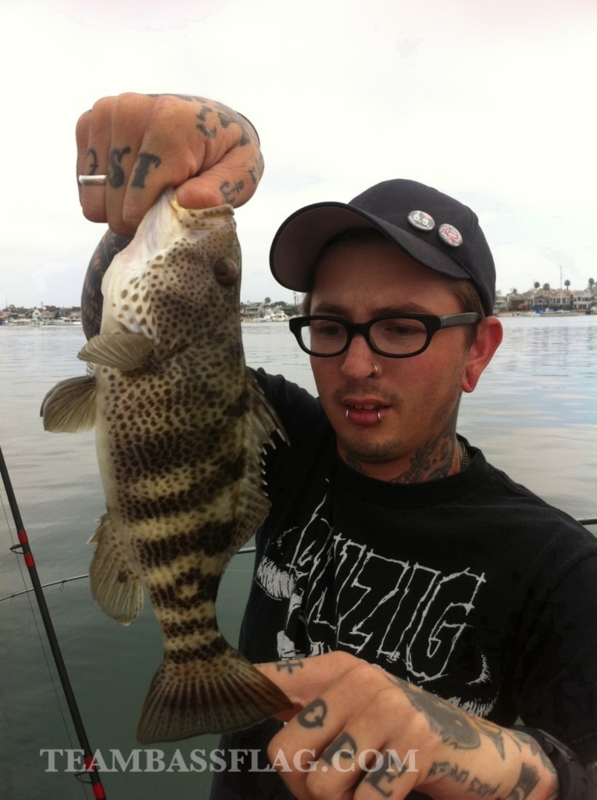 First up, we have the pretty little Shadow Bass. 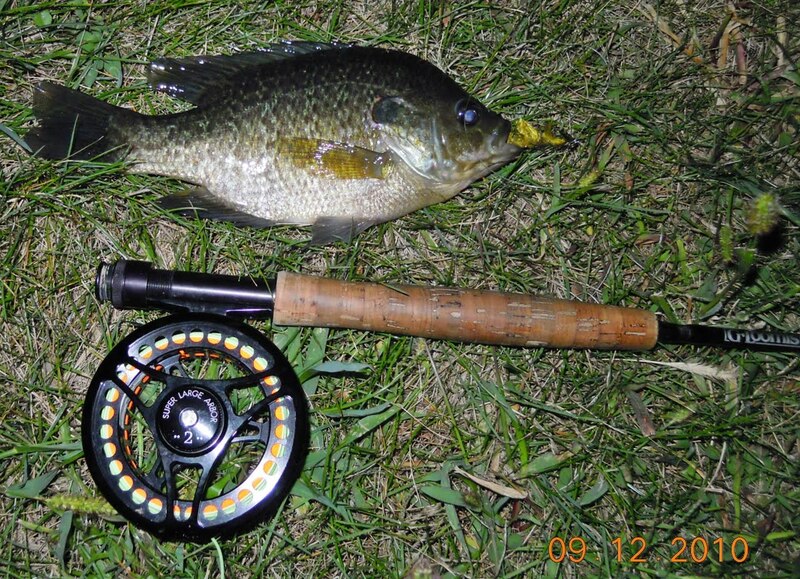 Also, we have a hybrid species that is quickly becoming very popular, the Bluegill-Redear Hybrid. Having some trouble sleeping so thought I would rack my brain to bring you guys some new fish ideas. Came up with one so far that would fit the bill. 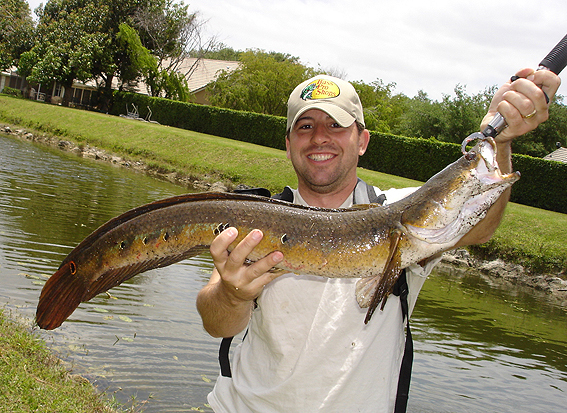 This one is actually a saltwater species, and can be caught on a variety of different lures and methods. We do have a Sea Mullet in our collection. Do you mean another fish that you have in mind? 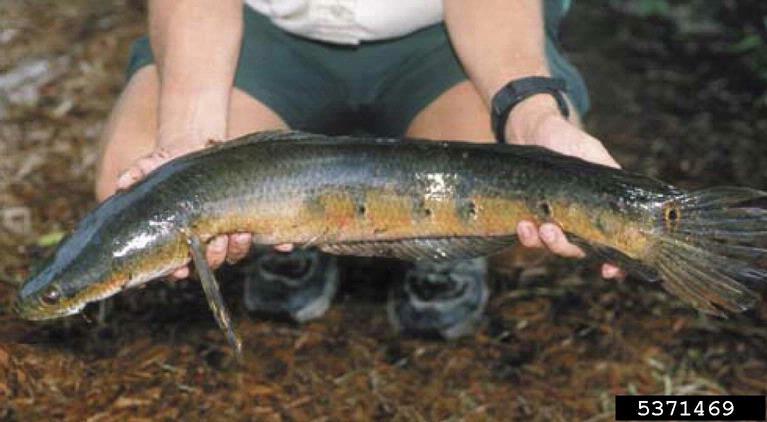 There is a fresh water Mullet too. Can you post a picture and a name for our to see?